Generating a passive income ultimately provides you with more financial security. Sometimes it can be hard to rely on just a 9-5 role for your entire working life, therefore finding ways in which you can boost your income helps you to become cash richer. If you are angling for a brighter financial future and think you could uphold another way of boosting your income, there are a diverse range of strategies you can consider that help to generate a passive income. 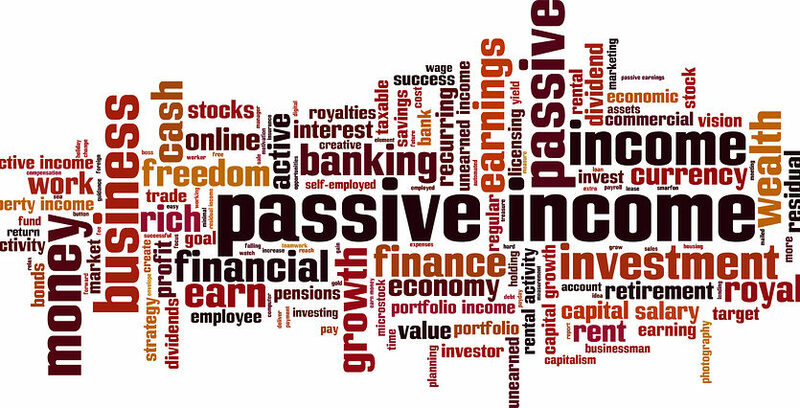 So, what exactly is a passive income? The concept refers to when an individual continues to get paid after their work has been completed. Some examples of this would be royalties from books, movies or songs, and perhaps even a business investment where you don’t have to be present. Thirdly, any kind of cash flow through property investment which includes profits from ownership of capital and rental income would be classed as a kind of passive activity. Some passive income ideas are not as straight forward as others, particularly as some income ideas require you to take a certain about of upfront work to earn, like writing an e-book or earning a royalty from your music when someone chooses to use it. However, others require very minimal effort beforehand such as opting to use cashback websites when you are purchasing your everyday items. There are very few investments that have created as much wealth as real estate, not to mention the significant increase in growth in popularity. Investing in property is a fantastic way to increase your cash flow as a passive income is technically an income you receive regularly involving minimal effort on your part. There are so many ways in which you can use property to earn a passive income. However, to make it worth your while, make sure you consult an experienced property investment company like RW Invest to find the best deals in the right locations, at a price to suit you and your budget. Using a trusted company like this gives you confidence that you are choosing the right investment for you, whether that be a student investment, residential investment, or one that is completed or off-plan. Visit their website if you are looking for a way into real estate investments but aren’t quite sure where to start. If you currently own a house, have you considered listing your property on Airbnb as a way of making an extra income? As soon as you have made a profile, the website allows you to list your property on the site for people to then view your room or rooms you are offering to see if it is suitable for them. As soon as your property becomes booked, you can start earning your money. This is a relatively stress-free, but profitable way of earning an extra income.